When Mae’s family moves to the grey city, her world changes drastically. She misses playing with her friends, chasing butterflies in the wavy grass and gathering treasures for her jar. She wishes she could have brought her garden with her, but there is no room for a garden in the city. Or is there? Mae’s story is about resilience in the face of change and celebrating the magic of the natural world. Florette is a beautifully written narrative with exquisite watercolour illustrations. It is truly a piece of art that you need to see for yourself to appreciate it’s beauty. 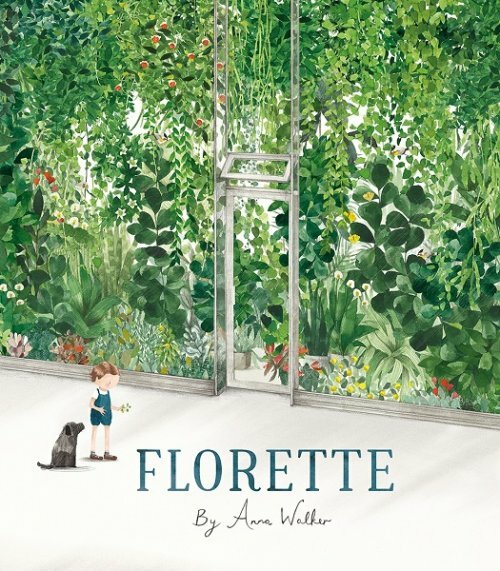 Florette could easily have been a wordless picture book with its detailed illustrations depicting Mae’s emotional vulnerability in this new and unfamiliar setting, as well as the power of nature to make her feel reconnected. The beautiful descriptive language in Florette makes this book an ideal model text to show children how the use of adjectives in their stories can bring a story to life and make it more interesting to the readers. As Mae is a female main character, feminine pronouns are used throughout the text, and there are many opportunities for children to practise using the subjective pronoun ‘she’. My absolute favourite language goal to target using Florette is prepositions because the illustrations show Mae’s path as she walks over the bridge, between the buildings and under the lamp posts. Kids will love tracing their fingers on the path as they repeat the location words!